It is sincerely doubtful that with all the valiant efforts by the GDR to provide privacy protections, there will really be any real improvements. If you go through their regulations, there are some great concepts concept about providers providing you with what they know about you. You also have rights to be “forgotten” and others, however, for this discussion I would like to focus on what you need to do to be really “forgotten.” You can begin to be forgotten by not needing to be forgotten. First, stop posting on social media and start writing the old fashion way. It is great to post your thoughts, pics and engage with others on social media sites, however, you must realize that for the free service they provide, they are really providing this service as means to provide advertisers to sell, maybe not you, but your friends and fans who see what you posted. They also see ads from what the platform thinks they will want to see, not what you want them to see or even what others wants to see. This is truly insidious that they use your posts to promote advertisers without compensation to you. That is, you should realize that you have made many of these company’s worth tens of billionaires and along with many individual billionaires without compensating you a dime. Second, realize the content of your posts will also be used against you to know more about what you think about, what you do, how you feel and how you might act. If you ever thought there was going to be a 1984 like in the book, it is not the government but social media platforms that are invading your life in more ways than even George Orwell could ever conceive of. Realize that no matter what these companies say, about your posts can be and as much as you would hope they will be forgotten, they will never be forgotten. Yes, your life is a series of “dead sea scrolls” now posted social media, included in spider search programs, and more. Realize that everything you post can be and will used against you in a court of law. By reading this, you have now been “mirandized” as social media posts can be used in depositions, legal proceedings, hiring, firing and most likely, in any court proceeding. Fourth, the world and specifically the internet is not a passive place, it is active and aggressively pursuing you to deprive you of your income and ultimately your life. You must understand that hackers are more motivated, have more time, are more deliberate, focused and do not care who you are. They want to deprive you or your loved ones of any kind of money, property, reputation and more. You should also know you know you have not recourse against them and they will continue on to do the same with anyone you know and others. Fifth and last point in this briefing, your life and all you have is at constant risk as the internet adapts, privacy rules get muddled and business seeks new avenues of opportunity. You cannot escape as you cannot escape the internet touching every part of your life. As checks are replaced with electronic funds transfer, this means that there can be “man-in-the-middle” attacks on any part of the transfer. You may be able to recover the funds but not the time and disruption to your life and those of your loved ones. Sixth, rise up and protect not just yourself but everyone in your life. 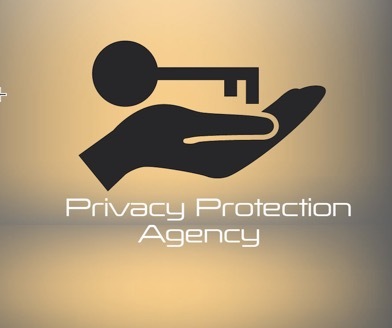 If parents, don’t preach but practice privacy yourself and help your parents, children, friends, colleagues and others with daily privacy tips. This is not to eliminate technology as that is not realistic yet act but whenever you can be tech-free in daily activities. Build a list of tech-free or low-tech tools like the keys to your home. Take a proactive approach to helping others and share those ideas on social media (yes, here’s a good reason to use social media). Remember this is an ongoing never-ending fight with advertisers and social media platforms who actively working against you. Support candidates who fight for privacy realizing that technology is moving much faster than any law or enforcement effort. If you think it is worthwhile, support the idea of an agency like the EPA for privacy or Privacy Protection Agency. Summary – These are just some of the “dire straits” in active and ongoing privacy invasions and violations that are more immediate to your life than your next meal. Yes, these are awful thoughts and ideas, but the internet is a truly horrific place and there are not indications that there is anyone interested in providing any real remedies now or in the future. I hope that while these comments are truly dismal you can find they give you some insights to help you survive in this apoplectic world.